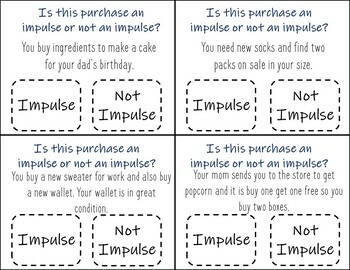 This product includes 36 task cards with real-life scenarios of an impulse or a not an impulse purchase. 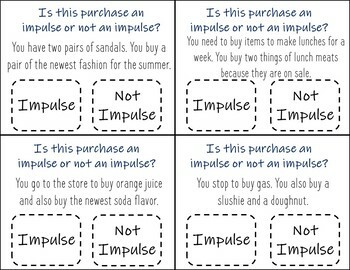 Great for reinforcing budgeting skills and making wise purchases! 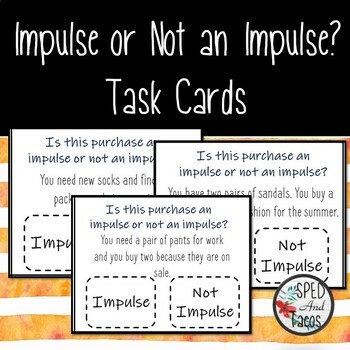 Ideas for use: life skill centers and independent work. I recommend laminating for extended use. 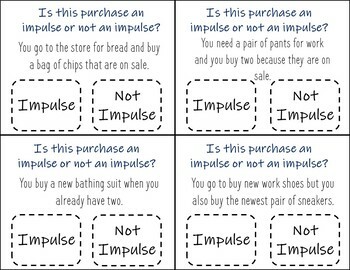 Students can use dry erase markers, clothes pins, or paper clips to note answers.